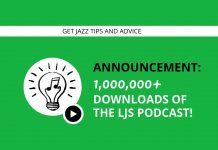 Welcome to episode 69 of the LJS Podcast where today we are talking about 4 awesome jazz tools for jazz musicians. These are tools and resources that we personally use that help us in our jazz studies and practice sessions. Listen in! 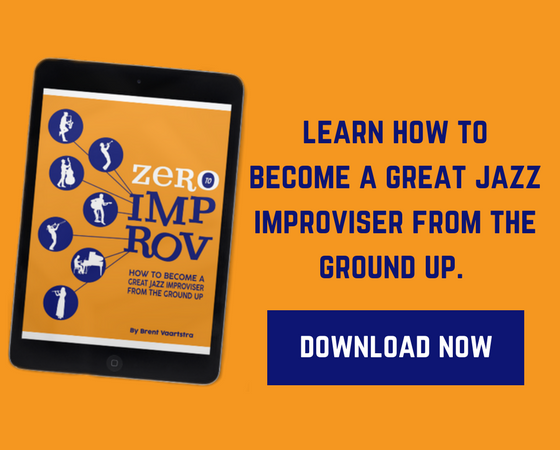 When it comes to becoming a better jazz musician, you need to be spending time in the practice room honing your craft and going out there and playing. There are no short cuts! No amount of gear, technology, books, or any other kind of tool can replace that. But sometimes a healthy dose of technology and tools can be really helpful in your practice sessions or jazz studies. 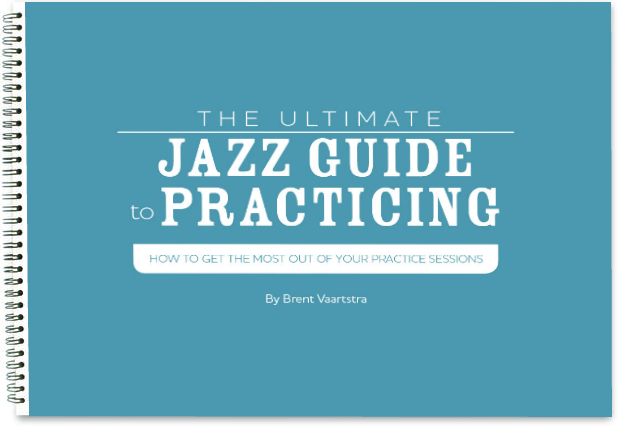 Today Brent talks about some tools and resources that he likes to use and have helped him in his jazz studies. These can help you too! Drum Trainer Online is a completely free online metronome that has a Tempo Trainer and a Speed Trainer. It’s a flexible tool that can help you build up your time feel, rhythmic sense, and technical ability. Find it at bestdrumtrainer.com. Smalls jazz club in New York City streams every show they have every night of the week on their website and Facebook Live. In addition, their sister club, Mezzrow, streams their shows. For a small monthly subscription fee, you can also access their entire audio/video archive of over 11,000 shows that have been recorded at Smalls since 2007. This is an amazing tool for listening to world-class jazz music regardless if you have local access to it or not. Visit smallslive.com. A great practice is to learn jazz solos by ear. But sometimes a tricky or fast passage can be hard for your ears to latch on to. Amazing Slow Downer is a really great slow downer software and app. Find it in your app store on iPhone or Android or download the software at ronimusic.com. Jam of The Week is a Facebook group where you are asked to post videos of you jamming to a particular jazz standard. As of today there are currently 50,000+ members in the group. This is a great place to be inspired by other musicians, be encouraged to practice, and get some feedback from other musicians in a safe place. Go to their Facebook group and subscribe. What tools and resources do you like to use? Leave us a comment below. Tenuto – At least available for iPhone, for only 4.49€ (around 5$) you have a whole set of music training (staff identification, staff construction, keyboard identification, fretboard identification, EAR TRAINING, calculators). I am actually using this app for Ear training. It is the most settable and complete that I found. I highly recommend it for newbies like me who never studied/trained/practiced ear training. I am learning quite fast to recognize notes, intervals, scales, chords, etc. You can set almost anything (instrument, speed, key, ascending/descending/harmonic intervals, etc etc etc). GNU Solfege – This is for Linux and Open Source Software lovers. It does basically the same as Tenuto but you need to be on a Linux Platform (meaning working on a PC or Laptop). And this is the only reason I just moved to Tenuto. For me it is more convenient to be able to practice with my iPhone wherever I am (on the train back home for example). AllMusic – (http://www.allmusic.com) – This website is meant for all genres, but what I like about it is that on the "discover" tab you can find "jazz" and there you get highlights of ARTISTS (complemented with biographies, related artists, etc), ALBUMS and SONGS within a Tree of "Subgenres and Styles". It is a good source for discovering in a surprisingly well structured way the different genres and styles. iReal Pro – Music Book & Play Along – this is a phone app, apart from providing chords for almost any standard you can think of it will then provide a rhythm section based on those chords when you practice the song. You can control the speed and even the instruments (so in my case I turn of Piano which is my instrument) and also change keys at the click of a switch etc. At $13 its a steal. Bret – I was wondering if you are not familiar with this or just dont like play alongs? VLC media Player (free) provides Windows and phone versions and can slow the music down and (in the windows version) loop it. Hi Steve! Thanks for sharing. I am indeed aware of iReal Pro. It's a great tool to use when in need. I think play alongs do have their place in our jazz education, especially for those that live in areas where they don't have others to play with. Ultimately, play-alongs are never a substitution for playing with other musicians of course.